We Help Musicians To Find And Monetize Their Tribe! 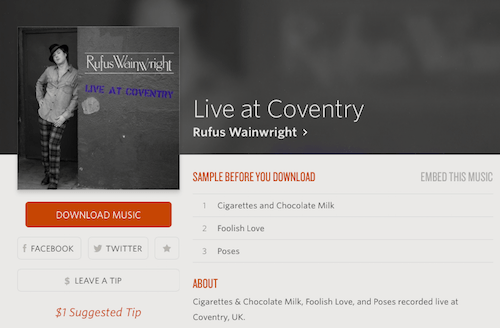 You can use Soundcloud to get people to your website or any other online retailers. I use Bandcamp because Soundcloud seems to like Bandcamp users. A marketing trick to catch attention from your visitors is to offer something free. In our case you can offer some of your tracks for free and gain more exposure. But you can gain more value from free downloads, if you use a like gate instead. Your track would be downloadable after your fan clicks a Facebook like, tweets or gives an email. The best option is email gating because you will grow your email list. If you just need to gain more exposure on social media, the like to download option may be the best option. You have 2 ways to put in place a gate. the first one is to put a link in the description to a gating page. You may want to use services like Noisetrade.com to create your gating page. The other way is to use the buy button on the player itself (the best is to use both). You can also use Bandcamp as an email gate for free download. 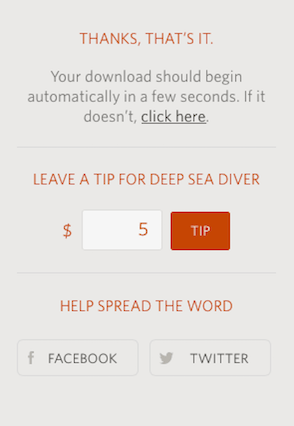 People will have to enter their email to download and give a tip at any price if they want to. Bandcamp will collect emails for you and you will be able to download a cvs file. 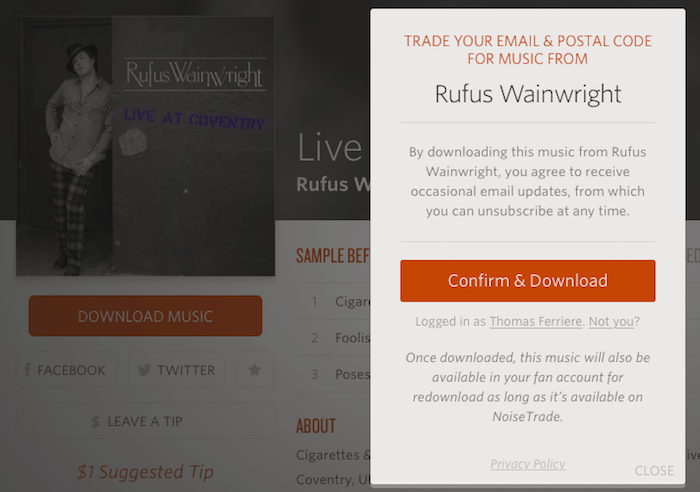 Use the most played tracks and make them downloadable for free on Noisetrade.com. People can share on social medias and even leave a tip. You can also embed their beautiful widget widget on your website. 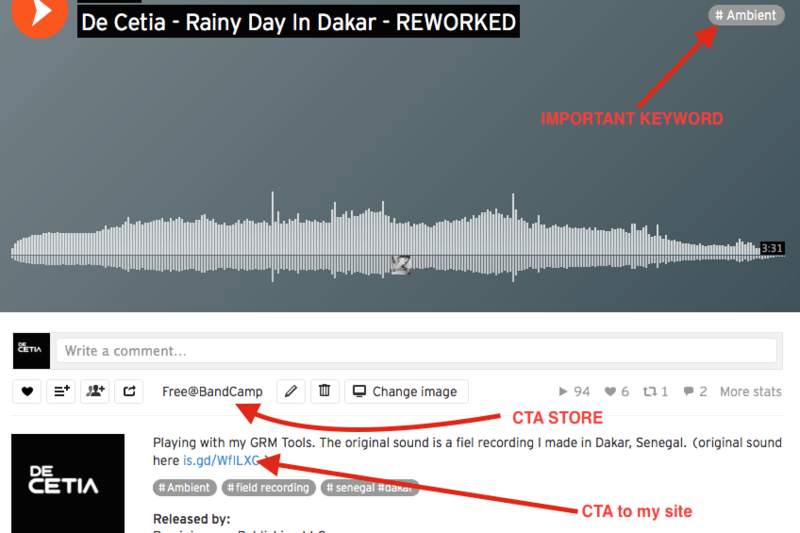 Noisetrade is not synchronized with autoresponders, you'll have to export the data in a CSV file. This special page must be simple, a home page (Funnel), contact, about me, policy&privacy. It is not a traditional artist website, but squeeze page with an autoresponder system. 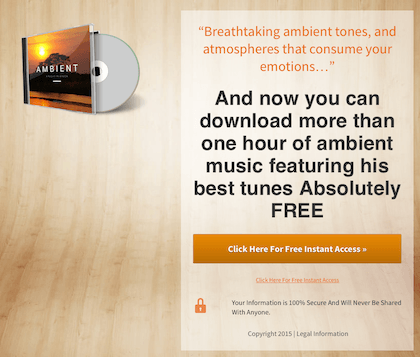 This is the ultimate marketing strategy to sell your music. I would recommend to follow our course on email marketing for musicians. I teaches an A-Z music marketing strategy from the ground up. It is the best course for anyone who wants to lay a proper foundation for their music career. We worked on a series of emails to build trust with fans before sending any promotional email. When you need to announce a new release your subscribers are much less likely to be annoyed.